Could Your Facebook Friends Actually Affect Your Credit? outstanding loans and number of inquiries into your credit history. But one lending firm is addingFacebook friends to the list. How can your Facebook friends affect you’re ability to get a loan? Lenddo, a microlending firm based in Hong Kong, believes that the likelihood of your friends to pay back loans or not could be indicative of your habits as well. The company’s algorithm is proprietary and secret, said CEO Jeff Stewart, but the primary metric is what Lenddo knows about the people you’re friends with. “We think that in the age of the internet you should be able to establish your reputation and your identity through your social graph, through your on- and offline community, and use that to get access to financial products and information,” he said. If Lenddo sees one of your best Facebook buddies took out a loan and paid it back, there’s a good chance you will too. “Our backgrounds are in machine learning and pattern recognition,” Mr. Stewart said. “It’s some serious math. Beta Beat tested out getting a loan and was asked for its Facebook account, as well as Gmail, Twitter,Yahoo and Windows Live. It was then given a credit score. 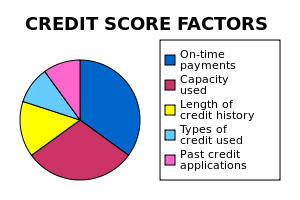 To apply for an actual loan, it would need to have at least three friends with connections to Lenddo and a decent credit history themselves. Banks have been curious about using social media to gauge risk for at least a year, said Matt Thomson, VP of platform at Klout, which calculates “influence” based on a user’s social media activity. Determining creditworthiness is not a core product of Klout’s, he said, but banks have approached the startup to ask about it. He wouldn’t name names. “It’s really like the who’s who of banking,” he said. As of right now, loans are only offered in the Philippines, but Beta Beat reports that the company recently hired an ex-Google employee to begin on in America. This entry was posted in oops, technology and tagged business strategy, Credit score, dimitri, dimitri snowden, Douglas Rushkoff, Facebook, Hong Kong, ion360, Jeff Stewart, Klout, Mark Zuckerberg, Marketing, Marketing and Advertising, New York Observer, Small business, snowden, Social media, strategy by dimitri seneca snowden. Bookmark the permalink.